TELL-OP is a Strategic Partnership that seeks to promote the take-up of innovative practices in European language learning (Data Driven Learning, DDL) by supporting personalised learning approaches that rely on the use of ICT & OER by bringing together the knowledge & expertise of European stakeholders in the fields of language education, corpus & applied linguistics, e-learning & knowledge engineering in order to promote cooperation & contribute to unleash the potential behind already available web 2.0 services to promote the personalized e-learning of languages in the contexts of higher & adult education, in particular, through mobile devices. We aim at maximizing the role of learner language by promoting good practices in using these OERs in personalized language leaning contexts & thus contribute to the modernization of the HE systems in the EU & a more widespread use of innovative OERs that include not only English but also other EU languages that can serve as the basis for a more widespread use of these ICTs. 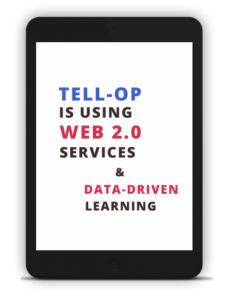 Instead of producing these OER resources, the TELL-OP consortium is interested in finding existing NLP OER that can suit the needs of language learner across different European languages (English, German & Spanish) & learning scenarios (Adult & HE education) & streamline these services by carrying out an exchange of good practices & evidence-based research that is focused on learners’ needs & not so much on context-free academic endeavours. 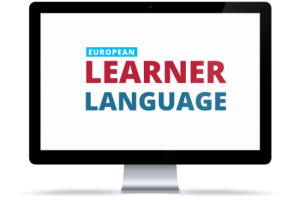 to promote the use of learner language information in the context of higher & adult education in Europe by offering concrete models of use that can be taken up by our target groups. to promote a cluster group of EU experts & professionals who can bring together their different views & expertise in the fields of e-language learning, language education, corpus linguistics & knowledge engineering. to raise awareness on the usefulness of using learner language input for the learning & teaching of languages in Europe in the 2 scenarios outlined in this proposal: formal HE & informal adult language education. to foster the usage of the OERs & ICT-mediated language processing methods for the creation of the language information suitable for pedagogic purposes in EN SP & GE. to survey & document the most relevant OE resources & services for language processing (text & voice) in the context of higher & adult education in Europe. That means, analysing needs in the EHEA & primarily in the stakeholders’ countries & establish the starting point according to needs.